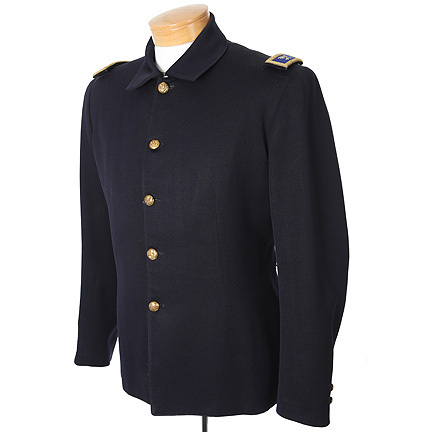 This jacket was worn by the character “Colonel Frank Marston” in the 1955 American Western film, “The Last Frontier”. 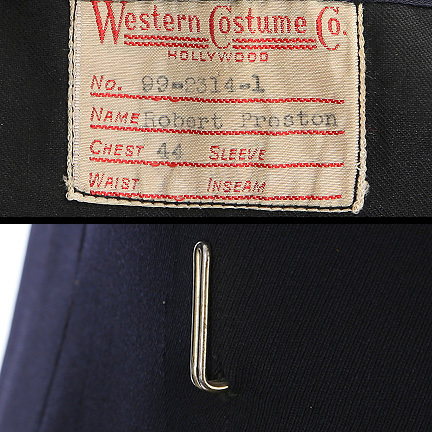 This dark navy blue jacket is made of wool, and includes “Robert Preston” typed onto the Western Costumer Co.’s label found within the breast pocket. 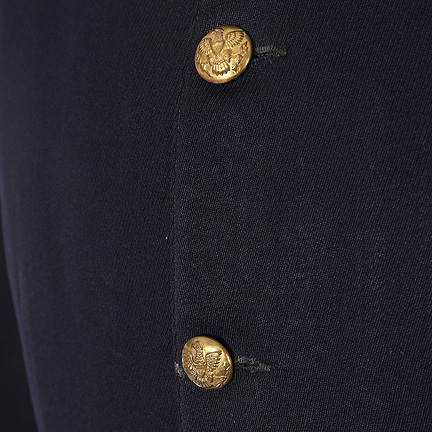 The inside lining also includes the markings “ARNDT” and “CRC” which is likely from use on a subsequent production. 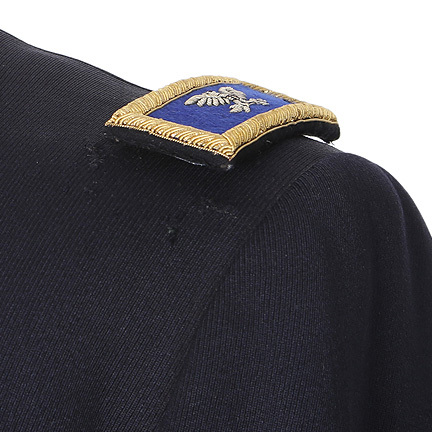 There are small tears in the fabric where the shoulder boards were removed. 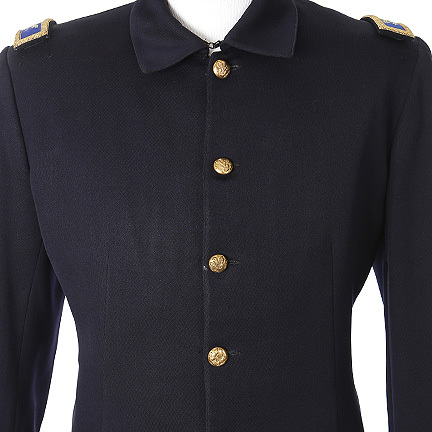 The shoulder boards seen here are for DISPLAY PURPOSES ONLY. 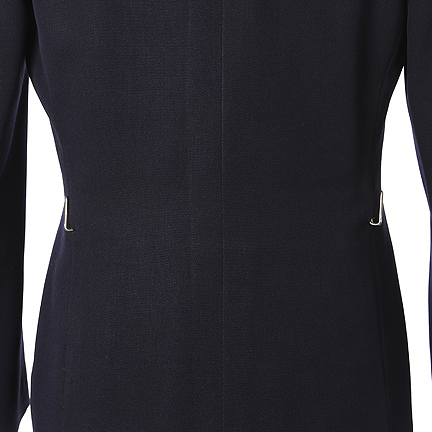 Mr. Preston can be seen wearing this jacket in various scenes throughout the film. 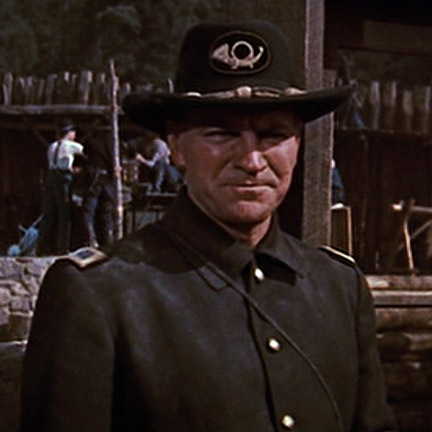 One of the most significant scenes in the film is when Colonel Marston has returned to the Fort Shallan after being refused reinforcements to fight off the Indian chief “Red Cloud”. 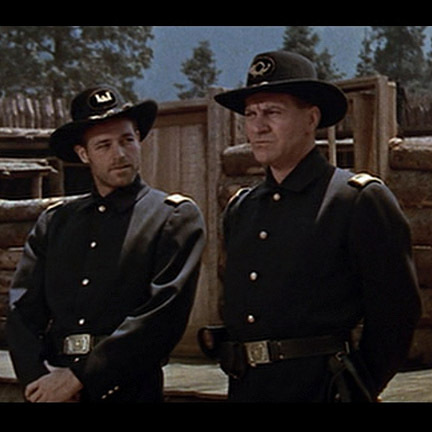 The Colonel is determined to wipe out the regional Indians and has a passion to battle Red Cloud. 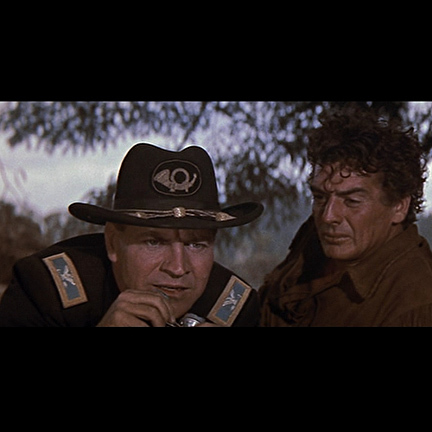 Jed Cooper (Victor Mature) is strongly opposed to the Colonel’s plot and even attempts to leave him in a bear trap hole unless he swears not to pursue his campaign for combat. 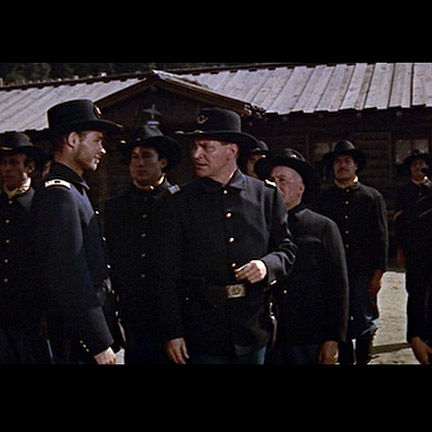 Directed by Anthony Mann, this film starred Victor Mature, Guy Madison, Robert Preston, Anne Bancroft and James Whitmore. 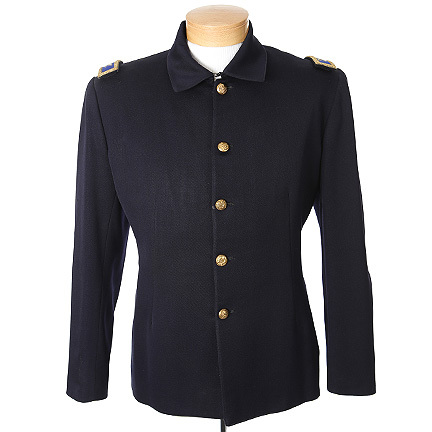 The story takes place in a remote Oregon army fort, where a wilderness trapper named Jed Cooper falls in love with Corrina Marston, the wife of Colonel Frank Marston. The tyrant Colonel having lost his men from a previous conflict now takes command of the fort’s rookie recruits to fight off an experienced Indian army. 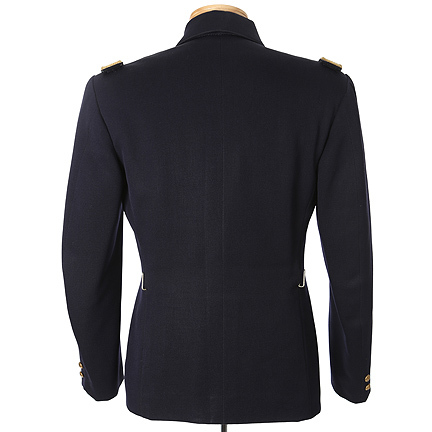 The jacket is in excellent screen worn condition and is accompanied by a certificate of authenticity.